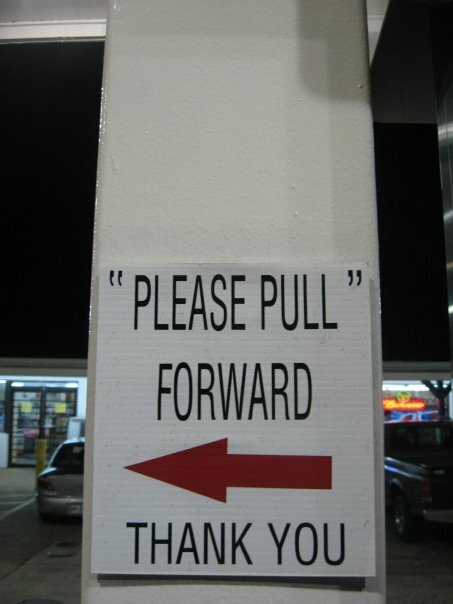 Is "please pull" an expression for something I don't know about? Actually, the more I think about it the more comfy ignorance seems. Thanks, Lindsey. "Forward" should be in quotes, because the arrow points to the left.